In her will, Vicky left legacies to three charities: The Brain Tumour Charity, Maggies (Glasgow), and Penny Brohn Cancer Care (Bristol). 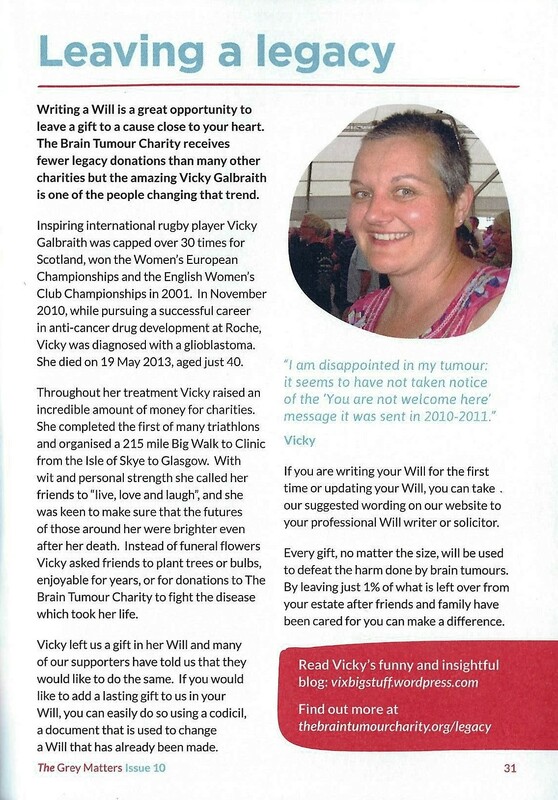 The Brain Tumour Charity has published this article in their Autumn 2015 magazine, which we’d like to share with you. Click to subscribe to Vix's Big Newsletter.